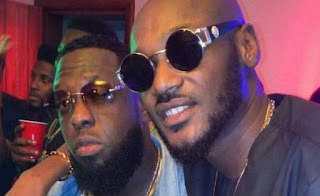 Timaya who was speaking in a radio interview with SoundCity FM decried the situation where artistes start referring to themselves as legends after making music for 10 years. "In this part of the world, many artistes when they get to 10 years, they start shouting 'I'm a legend', 'legendary'. "To me, in this industry, the only person that can call himself a legend is 2face. The others shouldn't. Even if people call me a legend, I don't like to be seen like that." The "Bam Bam" crooner then argued that he is still the king of commercial music in the country. "The crown never leaves. I am Timaya anytime any day, 13 years is not three years. "People don't understand that making a hit song doesn't mean you are a star. Stars always shine, some people can make a hit song and you will never hear of them again. There's no year I've never dropped a hit song. "I don't want to be number one. I just want to be a musician. A lot of people have come and gone but I'm still here."